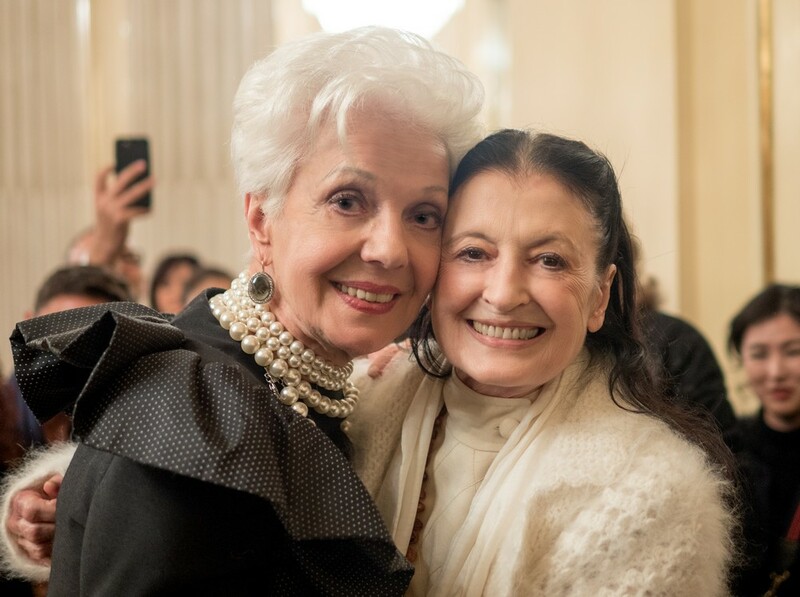 Latest in a collaboration between Italy’s L’Opera magazine and La Scala to celebrate the careers of singers – both living and deceased – was Saturday’s encounter with the great Bulgarian soprano Raina Kabaivanska, still statuesque and glamourous at 82. 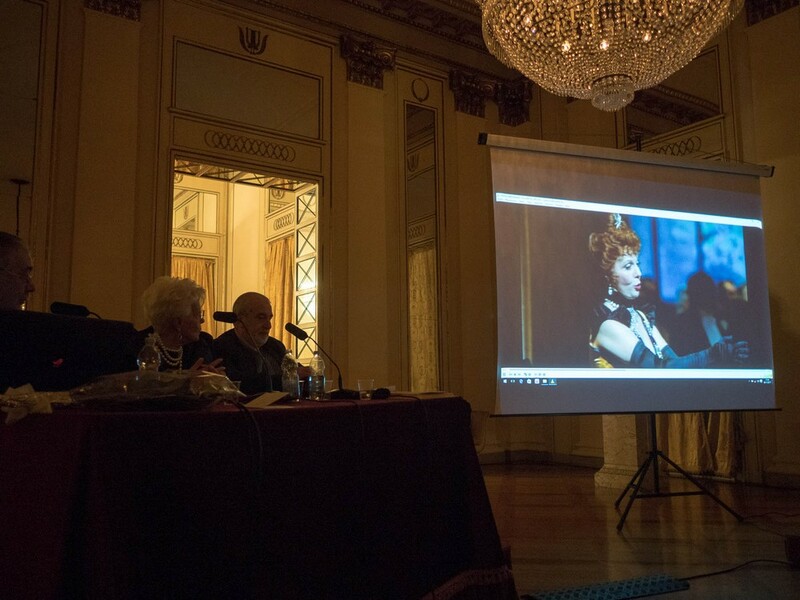 Interspersed with audio and video clips of some of her celebrated roles, were well-aimed questions from the extremely knowledgeable director and vice director of L’Opera, Sabino Lenoci and Giancarlo Landini. Both men both know Kabaivanska well, and they knew precisely which stories they wanted the candid diva to recount. And recount she did. One of the best anecdotes — especially being that the event was hosted by La Scala — explained her absence from the theatre’s stage after a Tosca in 1980, after which she returned only three times: for a recital in 1990, a concert in 1997, and a tribute to Luciano Pavarotti last year. I was under contract to sing Manon Lescaut when just a few weeks before the opening I was informed that my services were no longer required. I was furious as I was in high demand in those years and to have such a big space appear in my calendar was maddening. I went into the bathroom and was surprised to see in the mirror a face which reminded me of one of my colleagues – I won’t name names! My eyes were out on stalks… I was furious. I didn’t like that look, so I contacted a lawyer to resolve the situation and Teatro alla Scala paid me my full fee without my singing a note. With 18-million lira in my purse I went out and splashed it all on a full-length fur coat. She never sang another opera at La Scala. He said that he would like me to go and sing in New York and asked if I was free the next day to join him for lunch at Biffi Scala to talk about it. I said yes, and he left. A few minutes later there was another knock on the door. It was the casting director from Covent Garden. He said he’d like me to sing in London, and invited me for lunch the next day. I told him that I already had plans, so the day after my debut at La Scala I had lunch with the Met casting director, and dinner with his equivalent at The Royal Opera. The following year, she made her debuts at both the Royal Opera House as Desdemona in Verdi’s Otello, and the Metropolitan Opera as Nedda in Pagliacci. Kabaivanska is very frank, yet she charmingly squirms with embarrassment when someone sings her praises, her elegant poise suddenly becoming gawky. She’s frank with her students too. 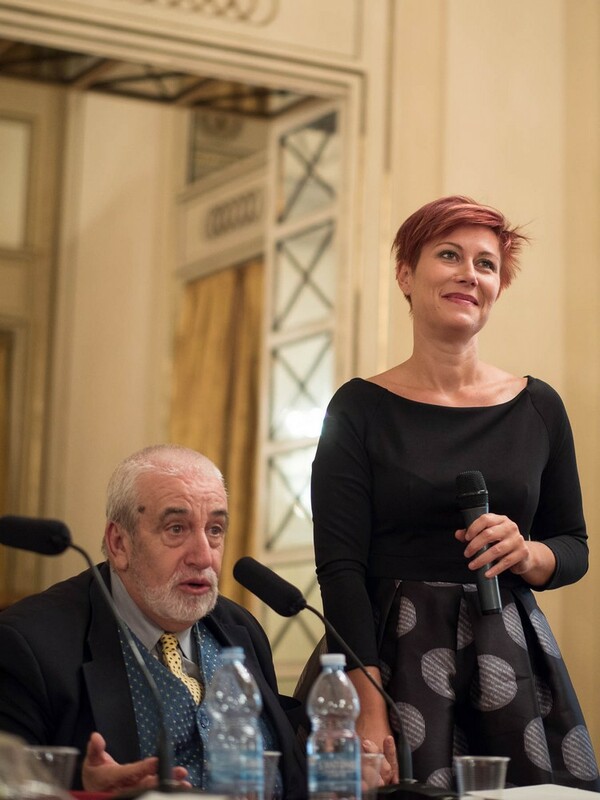 Veronica Simeoni, who now has an important international career, was judged by Kabaivanska on first hearing with the words, “No hope!” which she wrote in a notebook. She may have been referring to Simeoni’s clothes, noting that she looked “like a labourer”. 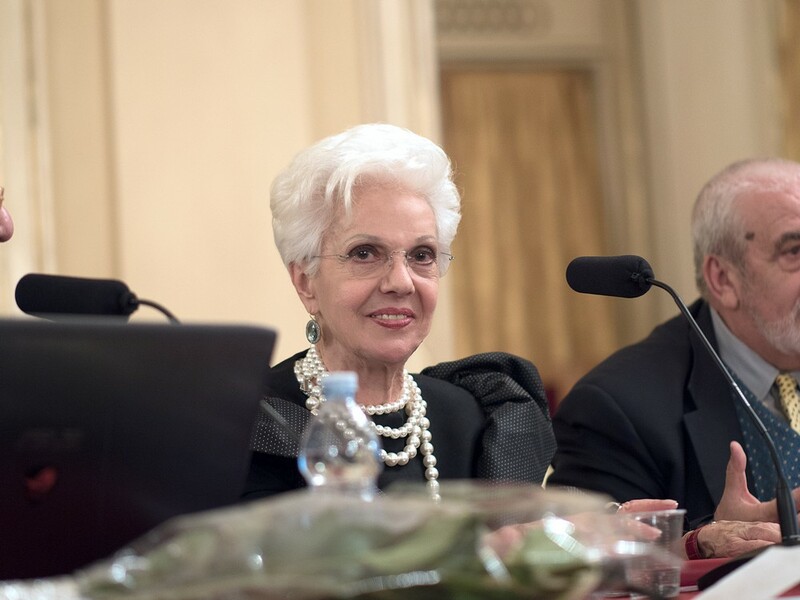 Simeoni, who was present at the conference at La Scala, remarked on how the severity of Kabaivanska’s teaching had been invaluable for her formation, and how even her dress sense had improved. In fact, she was looking lovely. A frequent partner on stage during Kabaivanska’s career was Luciano Pavarotti. Pavarotti, not a born actor, used to say that she gave him a special energy and a feeling of involvement that he didn’t get from other singers. He used to kiss her full on the lips. Occasionally in Tosca his mouth was so big that he’d kiss my mouth and nose together. I said to [his future wife] Nicoletta, “You know that he really does kiss me on stage?” After that, he never kissed me again. Kabaivanska sang Verdi’s Ave Maria at Pavarotti’s funeral in 2007. The good thing with Raina is that her heroines have no masks; they are not traditional. In them, we feel her feminine sensitivity, whether this is Queen Elizabeth or tiny Cio-Cio-San… Raina has the ability to focus on what is essential in a character. This is why her heroines are always stripped of any deceit. She possesses the honesty that allows her to reach down to the depth of her characters… When Raina appears, the stage becomes replete with her presence. I don’t know how good I was… sometimes maybe better, sometimes less so… but I do know that being on the stage gave me such joy. A joy that emanated from her and entered the hearts of the hundreds of thousands who, for over half a century, had the privilege of seeing her perform on stage.